If you have been following me for awhile, you probably know that when I start a holiday project and it is still not finished BEFORE the holiday? I still try to finish it for the next year! What's a Kid's Tree? 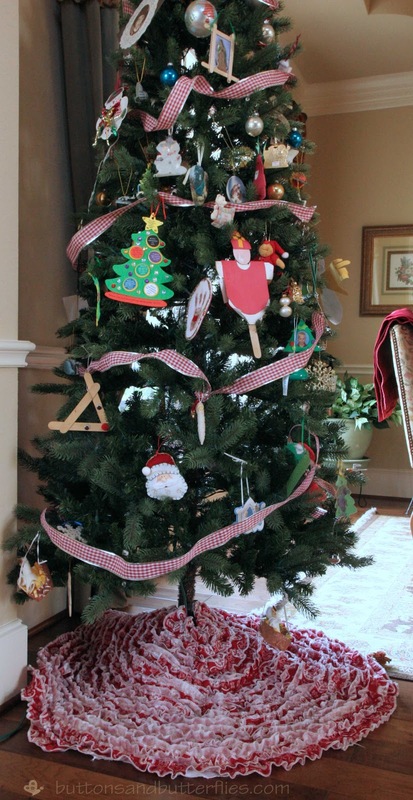 The tree where all ornaments made at school, given to them by the school, or projects around the season made into ornaments. 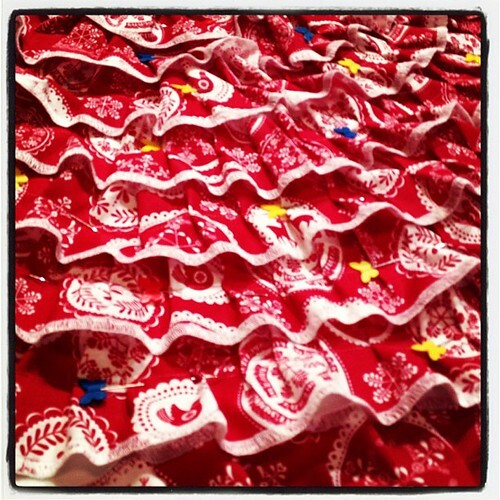 I had really wanted the skirt to match the rest of the dining room for the holidays with all the red and white. 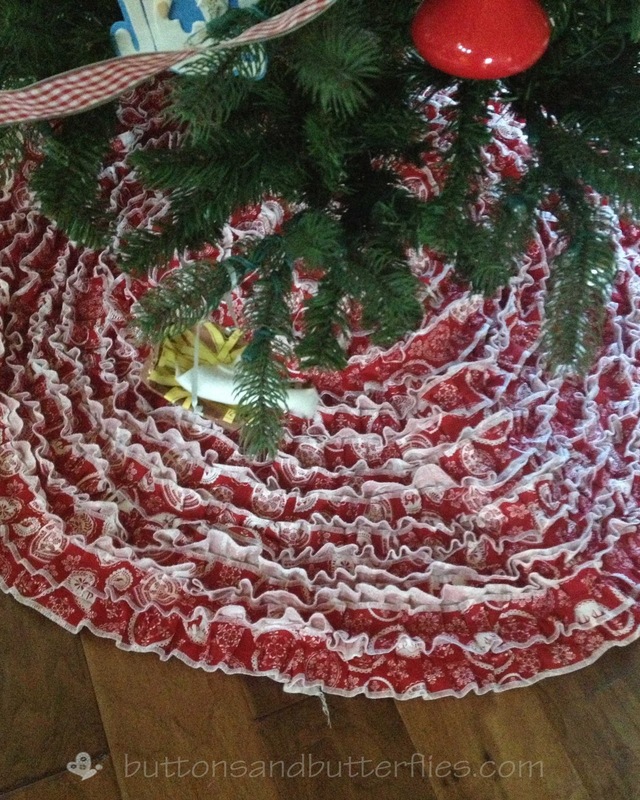 This tree skirt has been quite a headache, to be perfectly honest! It started at step one. To cut a circle. 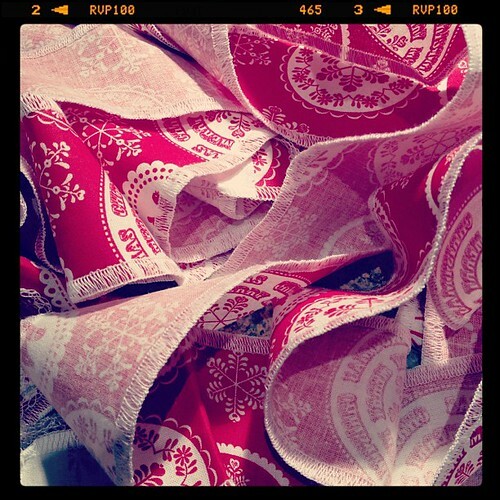 The tutorial, Moda Bake Shop Ribbon Candy Tree Skirt, did not really map out how to cut a circle. I am guessing she did the good ole fashion, tie a string to a pencil, center it, and mark a circle out. However, due to my recent surgery, I attempted to do a folded circle cut..not the best way to do it! I trimmed it as best as I could into a circle after this lovely flower shape! Which would be pretty awesome, I might add...but really wanted to downplay "pretty girly" for the boys' tree! 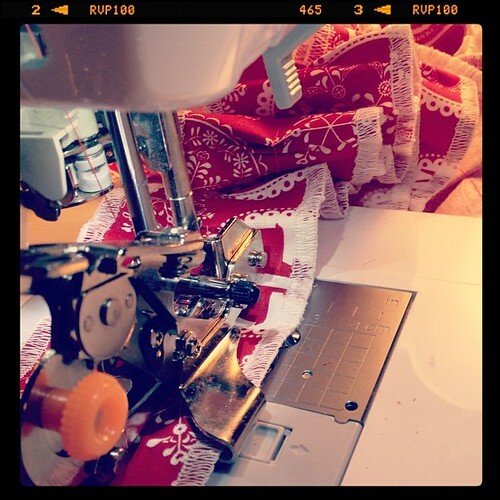 However, I was excited to pull out my Babylock Evolve Serger and actually use it! The dust collected on the cover was very telling. Took me awhile to remember how to thread it. At this point, I was feeling confident about the project. But when I got 20 done and still had 20 to go? 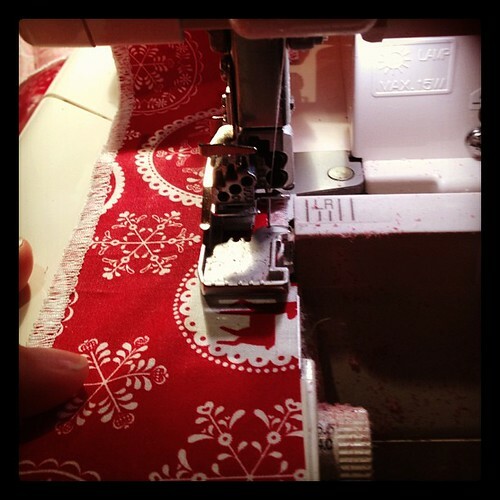 I could not believe how long it was taking EVEN though my serger was fast as a whip. I actually pulled out my phone and started timing it. 2 minutes on each side doesn't sound awful? 2 times 40? That is an hour and twenty minutes. Not to mention the time spent when I had to re-thread for some reason. But when I had them done, I thought...easy peasy. All I had to do was run it under my ruffler foot, right? 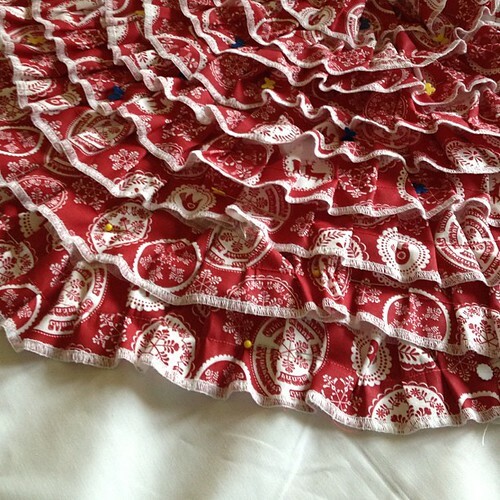 Until I started pinning the ruffles on my circle base. But then I realized that I had about 15-20 leftover strips? I then realized that when I trimmed the skirt to make it a more circular? I had made it too small. So I had to unpin, make a new circle, and re-pin. Suprisingly, despite the VERY feminine ruffles, Mr. Boss says he likes it! The tutorial is excellent. I have no complaints whatsoever. 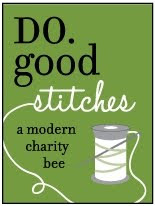 If I were to do it again, I would still overlock the edges. Time consuming? Yes! I love the final result, so it is worth it. I would have used a red fabric underneath so I wasn't so worried about overlapping my strips tightly. 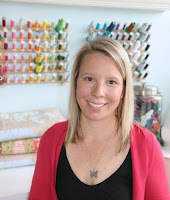 Make sure you match up your circle fabric to your fabric strip color. I would not sew down the middle of each strip as the tutorial states. For the tutorial, she was going for a solid ribbon candy look, but I really liked the ruffled look as I was pinning it. 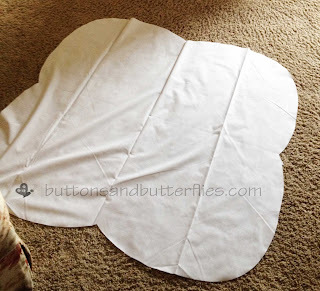 I would probably sew at the top of each strip so that they laid flatly like they did when I pinned it. Hope everyone got their holiday projects done! I have learned to not stress if I don't have something done "in time". 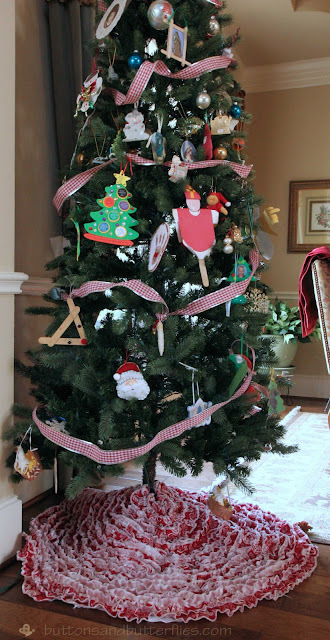 This project wasn't a gift and stopping in the midst of it to decorate a Gingerbread house with one of my sons was well worth the time than slaving away into the night sewing a skirt for a secondary tree in our house! Darling! I'm going to play devil's advocate here and ask why you didn't flip the differential feeder setting and serge/gather in the same step for the second side? I need to show this to Danny Boy and see if he likes - we totally need a new tree skirt. It was worth all the time, very pretty. This article is very interesting and useful for people love this.